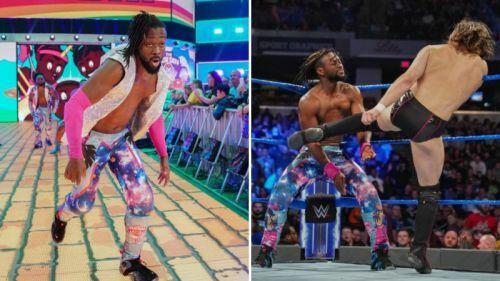 Fans were eagerly waiting for this week’s SmackDown Live as it was an important episode for Kofi Kingston's fan. Last week, Vince McMahon announced that he will be facing five of the biggest heel Superstars in a gauntlet match and if Kingston gets the victory then he will face Daniel Bryan for the WWE championship at WrestleMania. Kofi was the underdog in this match but he didn't lose faith. He overcame the odds and defeated Sheamus, Cesaro, Erick Rowan, Samoa Joe, and Randy Orton. However, then Vince McMahon screwed him again by saying that he has to defeat one more Superstar to get a title shot at WrestleMania. That Superstar was none other than the WWE Champion Daniel Bryan. It was a smack to his face especially after considering his excellent performance in the gauntlet match. WWE then posted a video on their YouTube channel where Kingston said that he can’t give up as if it did then Vince and Daniel Bryan will win. By the looks of it, I think that Kofi is still going to face Bryan at WrestleMania but before that, he has to convince Vince McMahon. And how will he do that? Simple answer: by defeating Superstars. Here I present you 5 such Superstars Kofi could defeat to prove Vince that he’s worth a title shot at WrestleMania. Just like Kofi Kingston, Andrade also provides great matches. His classics against Rey Mysterio is a good example of it. He is a tough Superstar and if Kingston beats him than it would definitely prove Vince that he’s worth a title shot at ‘Mania. 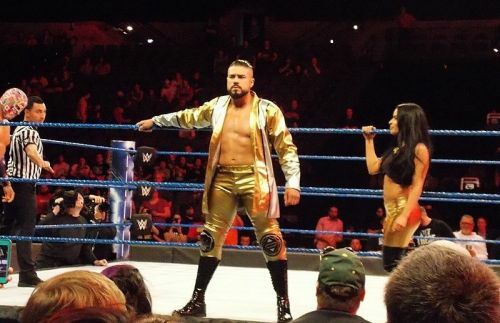 Some of you might say that I am exaggerating in case of Andrade but to be honest, he deserves to be in the list of top heel Superstars on SmackDown Live. It’s the WWE that has misused him as the Mexican Luchador is extremely talented in-ring.